(CV/CLX) (Luxembourg) 1970 - Current. Photos. Framable Color Prints and Posters. Digital Sharp Images. Aviation Gifts. Slide Shows. 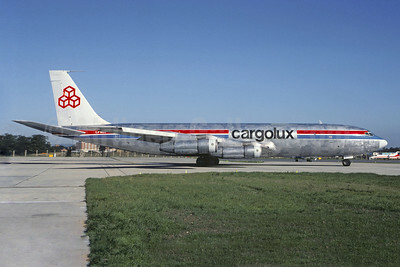 Cargolux Airlines International (Luxembourg) Boeing 707-331C LX-BJV (msn 19212) LGW (Mike Axe - Christian Volpati Collection). Image: 908917. 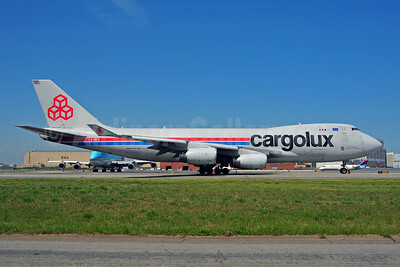 Cargolux Airlines International (Luxembourg) Boeing 747-2R7F LX-DCV (msn 21650) MIA (Bruce Drum). Image: 944458. 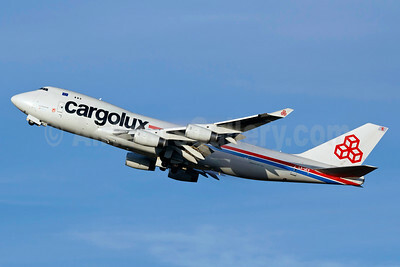 Cargolux Airlines International (Luxembourg) Boeing 747-2R7F LX-DCV (msn 21650) MIA (Bruce Drum). Image: 944459. 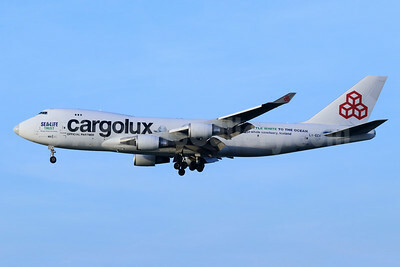 Cargolux Airlines International (Luxembourg) Boeing 747-2S4F TU-TAP (msn 22169) (Saudia colors) CDG (Christian Volpati). Image: 902851. 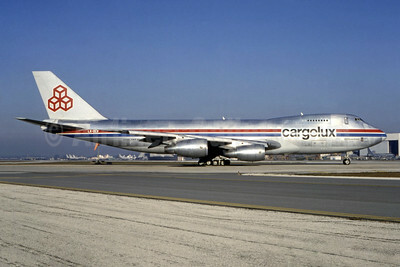 Cargolux Airlines International (Luxembourg) Boeing 747-4B5 (F) LX-ACV (msn 24200) (45 Years) LAX (Ron Monroe). Image: 944386. 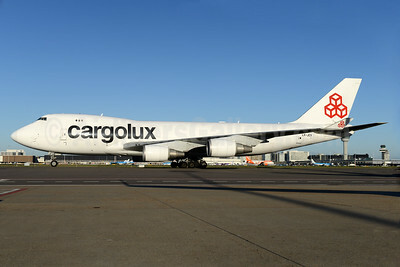 Cargolux Airlines International (Luxembourg) Boeing 747-4EVF ER LX-JCV (msn 35171) AMS (Ton Jochems). 935749. 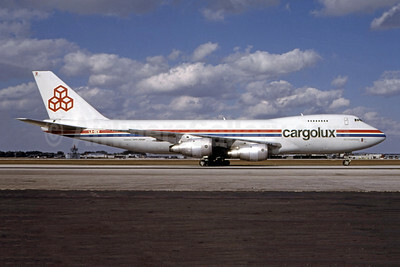 Cargolux Airlines International (Luxembourg) Boeing 747-4EVF ER LX-JCV (msn 35171) JFK (Fred Freketic). Image: 935748. 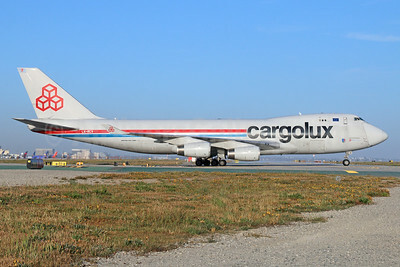 Cargolux Airlines International (Luxembourg) Boeing 747-4HQF ER LX-ECV (msn 37303) (Sea Life Trust) LAX (Michael B. Ing). Image: 945337. 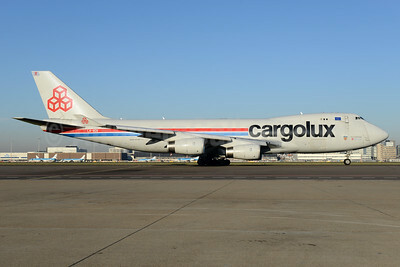 Cargolux Airlines International (Luxembourg) Boeing 747-4HQF ER LX-ECV (msn 37303) (Sea Life Trust) MST (Karl Cornil). Image: 945833. 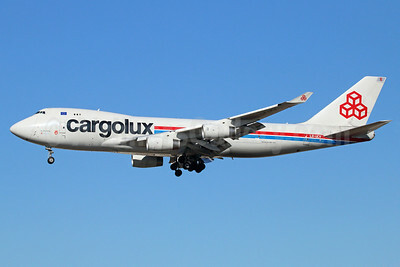 Cargolux Airlines International (Luxembourg) Boeing 747-4HQF ER LX-ECV (msn 37303) LAX (Michael B. Ing). Image: 944387. 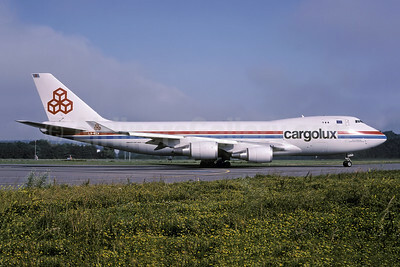 Cargolux Airlines International (Luxembourg) Boeing 747-4R7F LX-KCV (msn 25868) ZRH (Rolf Wallner). Image: 944650. 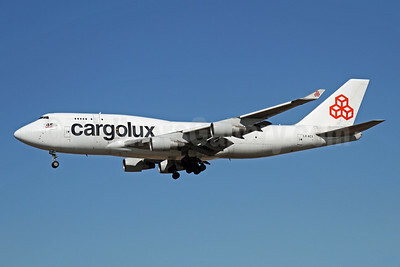 Cargolux Airlines International (Luxembourg) Boeing 747-4R7F LX-OCV (msn 29731) VCP (Rodrigo Cozzato). Image: 930472. 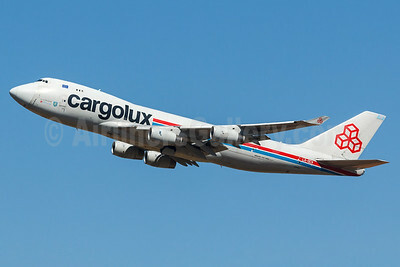 Cargolux Airlines International (Luxembourg) Boeing 747-4R7F LX-RCV (msn 30400) LAX. Image: 927423. 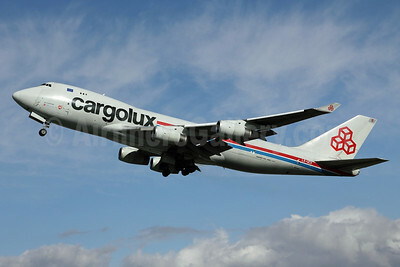 Cargolux Airlines International (Luxembourg) Boeing 747-4R7F LX-SCV (msn 29733) AMS (Ton Jochems). Image: 934546. 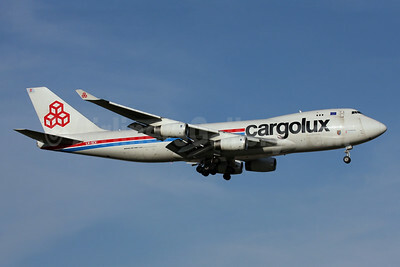 Cargolux Airlines International (Luxembourg) Boeing 747-4R7F LX-SCV (msn 29733) BKK (Jens Polster). Image: 902921. Cargolux Airlines International (Luxembourg) Boeing 747-4R7F LX-SCV (msn 29733) JFK (Ken Petersen). Image: 902921. Cargolux Airlines International (Luxembourg) Boeing 747-4R7F LX-SCV (msn 29733) LAX (Michael B. Ing). Image: 922142. 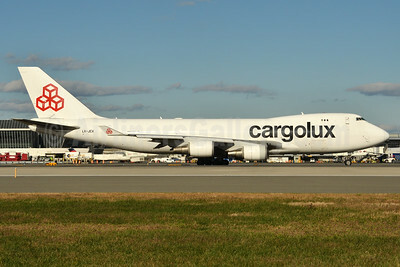 Cargolux Airlines International (Luxembourg) Boeing 747-4R7F LX-TCV (msn 30401) LAX (Michael B. Ing). Image: 908918. 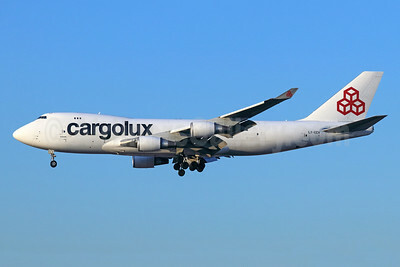 Cargolux Airlines International (Luxembourg) Boeing 747-4R7F LX-TCV (msn 30401) LAX (Roy Lock). Image: 901938. 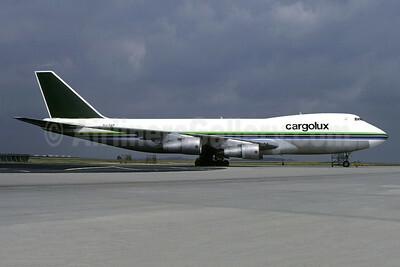 Cargolux Airlines International (Luxembourg) Boeing 747-4R7F LX-UCV (msn 33827) ANC (Michael B. Ing). Image: 906615. 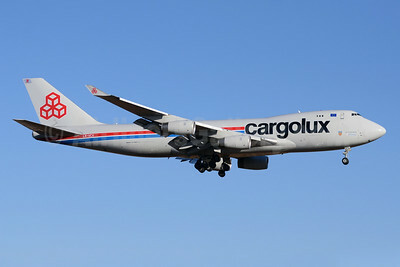 Cargolux Airlines International (Luxembourg) Boeing 747-4R7F LX-UCV (msn 33827) LAX (Michael B. Ing). Image: 922143. 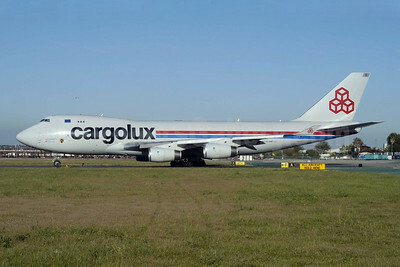 Cargolux Airlines International (Luxembourg) Boeing 747-4R7F LX-UCV (msn 33827) VCP (Rodrigo Cozzato). Image: 909082. 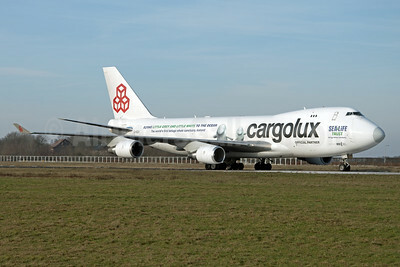 Cargolux Airlines International (Luxembourg) Boeing 747-4R7F LX-VCV (msn 34235) AMS (Ton Jochems). Image: 939648. 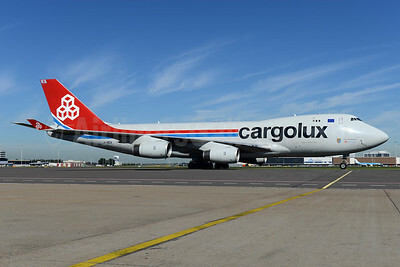 Cargolux Airlines International (Luxembourg) Boeing 747-4R7F LX-VCV (msn 34235) JNB (TMK Photography). Image: 920270.